My name is Christian Brams and I am 34-years old who live in Gothenburg, the next biggest city after Stockholm on the west cost of Sweden. Since the beginning of September, I returned to school studying 3D computer graphic design and will graduate in the summer of 2017. Since 2001, I have worked with aquariums in different ways. I started as a service tech for an aquarium leasing service in Gothenburg. Then I worked in some different pet shops taking care of the aquatics and for about seven years I have been working for a big wholesaler in northern Europe. I was responsible for the plant section, taking care of all imports and the assortment we offered for aquatics and terraristics. 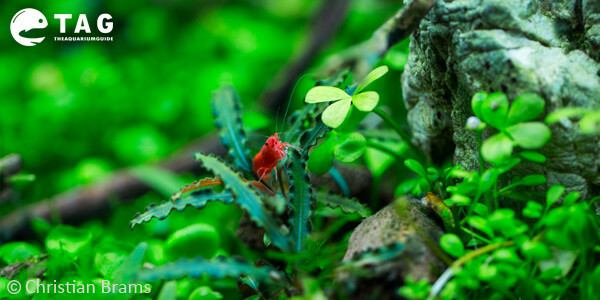 All along this I had a huge passion for aquascaping, especially plants and aquatic photo. I am also active on social networks and write a blog for the biggest pet store chain in Sweden. I give lectures and I am on the board of the Swedish Pet Trade Association, as secretary. 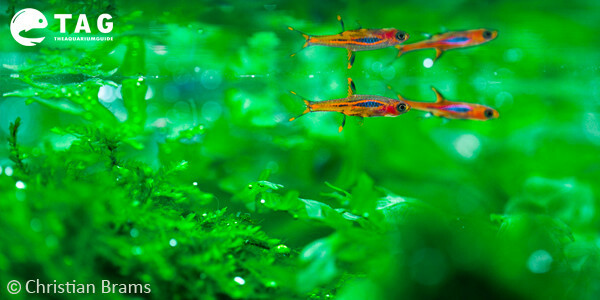 I am glad that for the first time in my life aquariums are just a hobby. Besides the aquarium hobby, I love taking macro photos, cooking, watching movies, and spend time with my loved ones. The interest for creating small worlds has been with me since I was young. I loved to build cool worlds for my action figure toys and I always ended up taking home a stamp or stone covered with green moss from the forest, though my mom was not always so happy about this. I still feel how my fingers itch when I’m in the woods and see some nice stones or scenery. I started working at the aquarium leasing company because I needed a job, but pretty soon I saw what could be created in a tank. After discovering Amano´s work and my biggest inspiration, the Senske brothers from ADG, I was blown away. That was the start for me; I ordered my first CO2 equipment and started to squeeze in as many T8 tubes as possible in my tank at home. This was approximately in 2002 and ever since then I have personally changed my water every week in at least one high-tech tank at home. 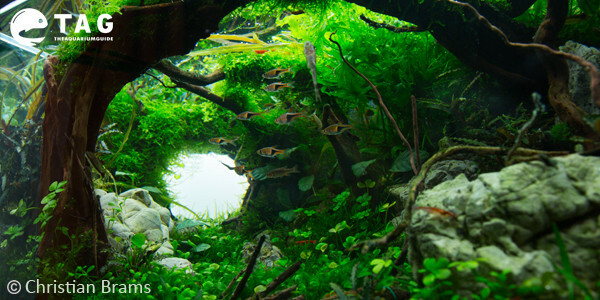 I don´t really know which style I prefer though I am mostly a nature aquarium guy. 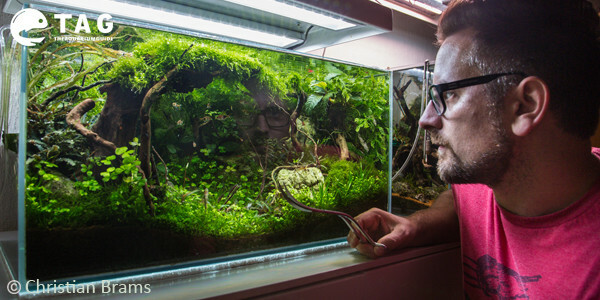 For my own tanks, I like a set-up that works long term and not just for the one-day photo shoot for IAPLC for example. When you have worked diligently with the hardscape, seeing the scape grow to shape is wondrous. I like when it´s just a nice tank in my living room for a couple of months before taking it apart for the next set-up. I don’t think an “all Dutch style” is the nicest set up, but I do love tanks with a big plant volume with a thick, crispy green plant section that you basically can see how it eats the nutrients and then puking out oxygen. I am not a big fan of Diorama aquascapes. I like some mountain-like rocks or maybe a tree or two, but I don´t like when you find “man-made” things like houses, stairs, or printed backgrounds with clouds in a tank. I get most of the inspiration from other aquascapers. I love to search around the Internet to collect pictures from other scapes and combining the best out of them into my own aquascape. The trick is to find the “not-so-famous” or lesser-known scapes and artists and pick small parts from each to incorporate into a new scape. Besides that, I find inspiration in the nature around me, a typical answer from every aquascaper, but Mother Nature is amazing with so many beautiful places out there. I like majority of the plants. I use mostly small leaf plants and stay away from Ecinodorus. I like mosses and plants with a creeping look like Marsilea or Hydrocotyle tripartite because you can see how these plants almost reach out to grab a hold. I almost always use Bolbitis for the same reason and I like the way it rolls out its leaves, just like the ferns in the wood. All together, these plants help you to get a feeling that you´re in the middle of a Tim Burton movie—which is great! When it comes to fish, I prefer smaller ones. 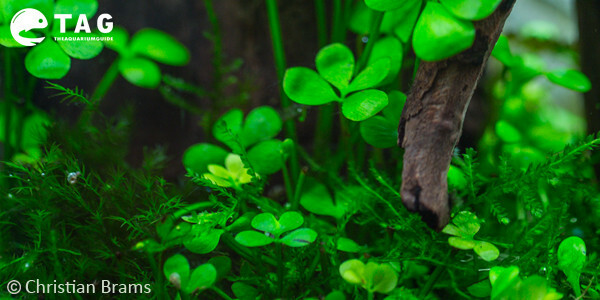 I like Rasboras, the smaller Rainbows, and also the Dwarf puffers for their special personalities. They are like small Zeppelins or Hippo balloons. Though, if I have to choose one, it would be the Altum angelfish for their shape and the magnificent way in which they move. Unfortunately, my tanks are too small for them, but some day I will have a group of Altums again. I have two smaller tanks at the moment. They use to be the exact same size, but when I quit my job I had to make a place for my Bucephalandra tank that I had in the office. Thus, I have one 70x40x35cm and one 70x50x40 optic white glass tank on the same cabinet. They are both equipped with the Eheim eXperience external filter; these are the best ones ever made and they are 99% quiet, which is important for me. I use Eheim streamers and Eheim UVC unit when necessary. I have one 10kg CO2 tube with a splitter so I can use it for both tanks. I use diffusers for solving the gas and I don’t use any controller because I think the basic way with a timer is the best. The lighting that I use at this moment is 4x24w T5 tubes from JBL in the bigger tank and 2 pcs of Econlux Sunstrip 70 LEDs in the smaller one. This gives me 91 watts for 96 liters. However, the light hood is constructed to make it possible to change the light easily allowing me to test different light units. I have units with T8, Eheim PowerLED, TMC Growbeam, and others readily available. The aquascaping scene in my country depends on what other country or area it is being compared to. Even if it has grown recently, I wouldn’t say that it’s as large compared to Germany or Asia. 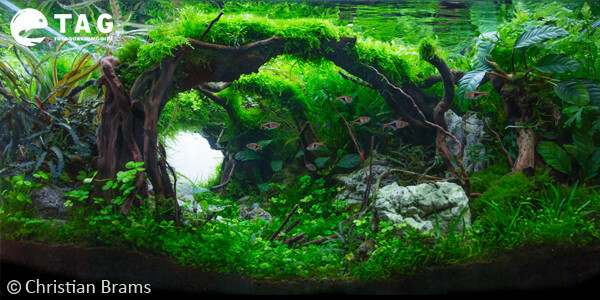 The ones dedicated to aquascaping number about 100 people and we all discuss aquascaping in the same forums. Nowadays, common aquarists are designing their tanks with certain stones or looks. This proves to be a big step in the beginning of many future aquascapers in Sweden. I hope that I will see more of this in the future. This makes the hobby grow and we will find nicer hardware in the stores. That would also make more people interested. A big tank is more expensive to decorate and needs more work to scape. If you want the look of a big mountain in the scape, you need a bigger rock, and so on and so forth. Also, collect plants and hardscape materials from fellow aquascapers nearby. When you pick them up you have the chance to see their work and talk about how work. In addition, the Internet is an endless forum for information and inspiration. Please share with us your website/business/page etc. I have a blog at blogg.djurmagazinet.se It is in Swedish, but there are pictures, etc. I also have a Facebook fan page at facebook.com/bramsaquascaping where you´ll find a lot of pictures of scapes, fish, shrimp, plants, etc. You´ll also find some albums from different exhibitions I´ve been on and some trips to different locations collecting plants (all in English).